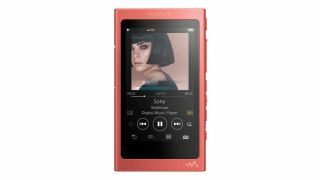 Black Friday deal: Save 33% on budget hi-res Sony NW-A45 Walkman today only | What Hi-Fi? Black Friday Sony deals have so far spanned turntables, wireless headphones and Bluetooth speakers – and now we have a fantastic deal on a Sony Walkman. Today only, Amazon is offering 33% off the Sony NW-A45 Walkman, now only £115. The offer ends tonight at midnight. While we haven’t reviewed this particular player, which was launched last year, it’s safe to say Sony’s Walkmans have done well with us. The last handful have received admirable four-star reviews for their intuitiveness, file support and decent sound quality. The eye-grabbing specs of the NW-A45 is a 45-hour battery life, 16GB internal storage (expandable by microSD card), 3.1in LCD touchscreen, and Bluetooth (with NFC) for pairing and listening to music on other music players. There’s support for both PCM (all the way up to 24-bit/192kHz) and DSD files, as well as MP3 songs of course. So if you (or someone you know) would benefit from a separate, dedicated music player in addition to your (or their) smartphone, this Black Friday deal could be just the ticket.